Home » caps and closures » Do your bottles, jars and jugs come with caps? Caps are sold separately for the bottles, jars and jugs. A variety of plastic and metal caps are available. 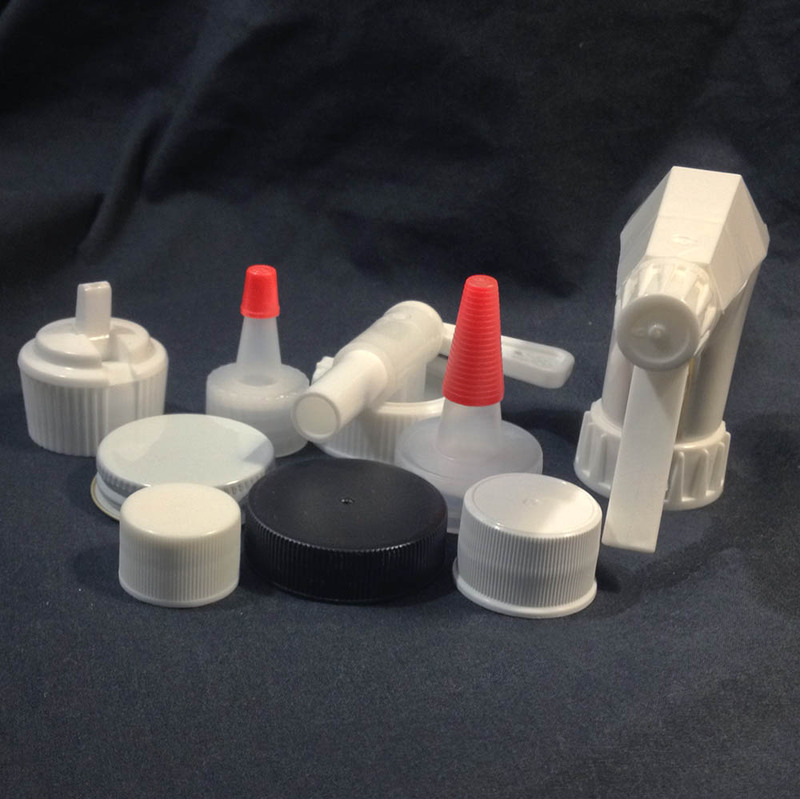 Our plastic caps include white lined polypropylene, black lined polypropylene, unlined white polypropylene, foil lined white and black polypropylene, induction seal, pressure sensitive, child resistant, acid caps, cone caps, flip top, and spouted caps. Metal caps are available in white pulp and poly, black foil lined, white foil lined, white plastisol, and gold plastisol in a variety of sizes. Please see our caps and accessories page for more info.